We’ve all heard the anecdotal stories about welfare abuse: The person at the grocery store who uses food stamps to get cash and then buys cigarettes, alcohol or candy, or the ones cheating the system by taking benefits when they’re not eligible for them. Up until now, there hasn’t been much to go on in terms of evidence when trying to determine how widespread the problem of welfare abuse in Maine is. The Maine Department of Health and Human Services (DHHS) recently released data on Electronic Benefit Transfer (EBT) transactions of Maine recipients of Temporary Assistance for Needy Families (TANF) recipients. The results are troubling, to say the least. According to the Department, since 2012, more than 3000 EBT transactions on Maine issued cards took place at 22 “smoke shops” which primarily sell cigarettes and other tobacco products. There were some 650 transactions at establishments that primarily sell liquor, such as bars and sports pubs. There are also examples of Maine EBT cards being used in 46 states by people who have not been living in Maine for more than a year. Maine cash welfare benefits in some form have been used in all 50 states, Puerto Rico and the Virgin Islands. EBT cards have also been used at strip clubs on the taxpayer’s dime. The data reflect purchases made at the counter of all of these establishments and ATM withdrawals on the premises. I would hope that we can all agree that there are many Mainers among us who are in dire need of assistance. Many of them are living day to day, sometimes having to make the difficult decision of whether to use their limited resources to buy food, get their prescriptions filled, or keep a little heating oil in their tank. They are the ones for whom the system is intended and they are the ones who are hurt most by those who abuse it. Some have suggested that all of these apparent abuses of the benefit cards only represent a small fraction of all EBT transactions. Statistically speaking, they may be correct, but I would like to ask a question of those who raise that point: Bank robberies are only committed by a small number of people, too. Should we not try to prevent them? And while welfare fraud may not be as dramatic as a robbery, is it not the same thing? Only in this case, it’s the Maine taxpayer that is being robbed. During this session, the legislature will be taking up three bills that are designed to address welfare fraud. One of them would place limits on where recipients can use EBT cards, so we can be reasonably assured that taxpayer money isn’t being used for liquor, cigarettes and lottery tickets. Given the examples cited above, I believe this bill is worthy of serious consideration. Senator Gary Plummer (R-Cumberland) serves on the Maine Legislature’s Criminal Justice and Public Safety Committee. 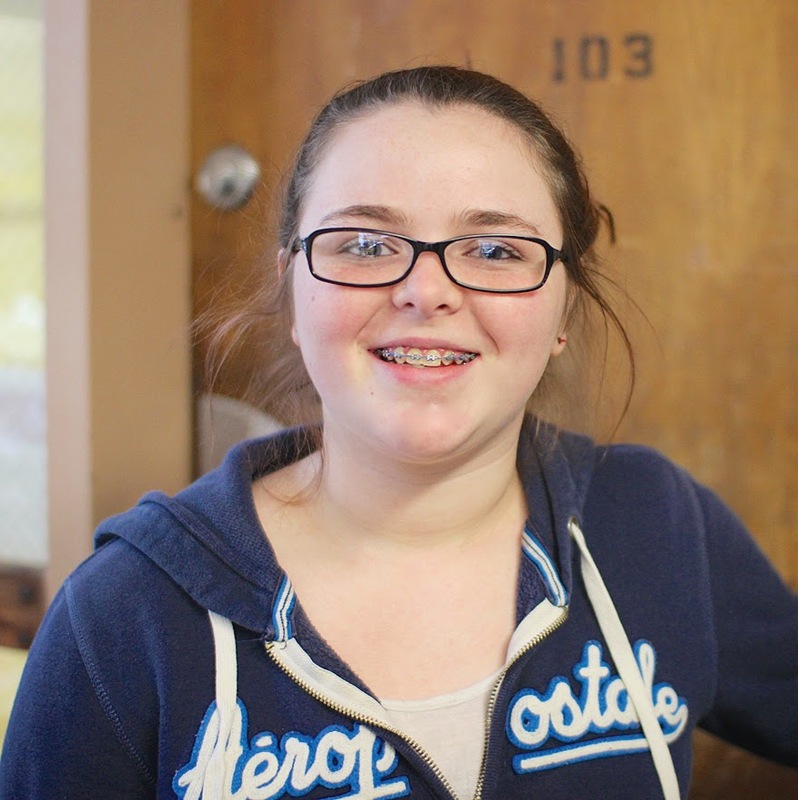 The Windham Eagle student of the week is Jessica Cross, 16, a sophomore at the REAL School, on Mackworth Island. “When I grow up I hope to become an Ed Tech working in the schools or I might teach younger children in a day care setting. I need an education to live my life and to live in the world without my parents,” Cross said. “Jessica Cross came to the REAL Culinary Arts and Agricultural Program in the beginning of November. She has volunteered for all available activities. She is amazingly positive, coming in ready to work on any of our projects. Jess went on her first mountain bike trip with us—as the only girl. Each time we have had a special catering event, Jess has volunteered to participate, staying late and giving extra effort. She is our fundraising ambassador, helping to raise money for the program. She has not missed a day of school, yet. We are thrilled to have her as part of our program and think that she will continue to grow as a role model and peer leader,” said teacher Christine Caputo. Cross lives with her parents Catherine and David, her brothers David and Tyler and her sister Molly. Her hobbies are art, cooking, sleeping and hanging out with friends. Recently, because of a brief illness as well as the inclement weather, I was relegated to the house. Initially, it was a pretty nice arrangement. I was able to catch up on some reading as well as writing that I had previously overlooked. I also arranged draws and closets, played some old time radio programs, and genuinely enjoyed the time spent indoors. However, as the days went by and the holiday programs no longer were available, my perspective began to change and I was not a happy person. It didn’t help that each time I turned the telly on, I was bombarded by depressing pharmaceutical ads that had the words “death” and “fatal” too many times for anyone to hear. Commercials that expressed the deploring states of health for those with everything from psoriasis to lupus were broadcasted on a continual basis. In fact, I found that there were more advertisements per show than there were times for the actual programs. My psyche was being bombarded with negative sights and sounds. I realized that the time spent alone as well as not being able to get out along with the negativity that came over the tube were taking its toll on me emotionally as well as physically. As I was dragging through yet another day while nursing a headache, the phone rang. My childhood friend of many years was on the other end. Although it was nice to hear her voice, I really wasn’t in the mood to talk. However, like a symphonic piece that starts off quietly and with little pizazz and then crescendos to a thunderous peak, so too was our conversation. In no time, I was laughing hysterically as we discussed the weather, our lives and everything else. When the conversation ended, I realized that my headache was gone. I felt lighter and generally well. The feeling from that conversation and the light-hearted laughter that I experienced followed me for the rest of the day. It continued throughout the following days as well because I made a point from then on to surround myself with humorous DVDs, old-time radio and more up-lifting phone calls. Laughter therapy has been researched and is utilized in different arenas such as with children who have illnesses and the elderly who are in nursing homes. Laughter and humor does seem to help with a variety of issues. For instance, Norman Cousins, who had been diagnosed with a serious medical condition, lived another thirty plus years beyond because he had determined that he would laugh his way to wellness. He subsequently got well and went on to write several books as well as becoming a successful businessman. 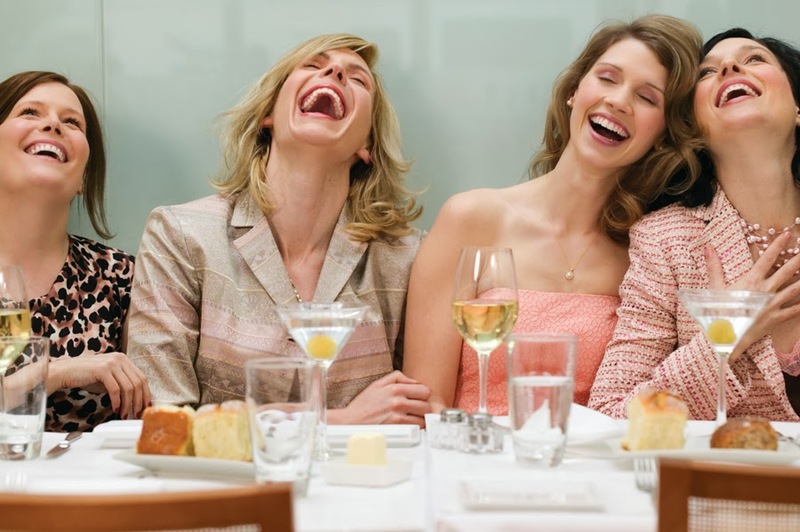 Each person has a funny bone – that place that gets tickled so that laughter can happen. It’s built into us as humans and even in some higher order animals. When we laugh, endorphins (happy hormones) are released, tears cleanse the eyes, cardiovascular system awakens, and we kind of jiggle and giggle out the gloom. A feeling of well-being comes about and we go forward to tackle yet another day. So if it is a bit cloudy on the outside that might be causing a deluge on the inside – do whatever makes you happy. For Norman Cousins, it was the Marx Brothers. For others, it might be something more contemporary. It also might be something as simple as watching the antics of a child or a pet that can bring those chuckles around as well. Whatever it is – laugh. It does a body and a mind good. It can be good medicine. 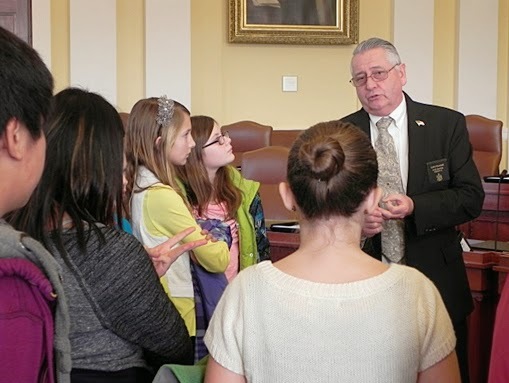 AUGUSTA – On Wednesday, January 15, 2014, the sixth grade class from Windham Christian Academy spent the day in Augusta learning about Maine’s government. The fourteen students and their chaperones visited the Blaine House (the official residence of Maine’s governor) and toured the State House. State senator Gary Plummer of Windham hosted the group in the senate chamber and spoke with the students about the state’s legislative process. On Friday afternoon January 17, Don Alexander was presented with a plaque for his 50 years of service to the Town of Raymond. Teresa Sadak represented the Raymond board of selectmen while giving Alexander his award. Also present were town manager Don Willard, fire chief Bruce Tupper, deputy fire chief Cathy Gosselin and town clerk Louise Lester. The plaque read, “In appreciation Donald E. Alexander is recognized for his dedicated work during 50 years as a life member of the Raymond Fire/Rescue Department and as a charter member of Raymond Rescue. He was a member of Raymond's Emergency Management from 1991 and EMA Director from 1996 to 2002. He served over 16 years in animal control and as ACO director from 2004 to 2011, and was a founding member of Rescue Explorers Post 66 of the Boy Scouts of America. His willingness to volunteer as a fireman helped provide manpower to protect the health and safety of our residents. His devotion to his duties as Raymond's Animal Control Officer showed his love for all animals and their well being. The Town of Raymond thanks him for all his years of service.” The plaque was signed by Samuel Gifford, chairman of the Raymond Board of Selectmen.